Valentine’s Day! Whether you love it, or hate it, today can be a tricky day that stirs up all sorts of emotions and feelings about the holiday. And while February 14 can stir up emotions, some massive cosmic shifts culminating in tomorrow’s partial solar eclipse in Aquarius is causing everyone to feel a little unbalanced today. The good news: Tomorrow, which signifies the end of eclipse season, is a day where you may literally be able to feel yourself shrugging off habits, routines, or even people who didn’t work well with your life, as new opportunities and people enter your life. In other words, tomorrow is the end of one chapter, and the beginning of the other. That said, you know the white empty page space after a chapter ends? That blank space can sometimes encourage you to keep going … but sometimes, that white space can cause you to put the book down, go to bed, pick up something else, or just take a break. And it’s sort of similar when it comes to life chapters. That white space can either spur you to move forward, or can make you feel like hibernating under the covers. That white space can also make you feel almost paralyzed, as if you have no idea what’s next. And you don’t! And that’s the most exciting part! Anything can happen in the next chapter, and it’s up to you to turn the page and find out. Luckily, this eclipse is in the sign of Aquarius, an adventurous, independent, curious, free-thinking sign. Aquarius is begging you to turn the page. So what’s stopping you? Still feeling a bit of trepidation? Think back to last August, during the Leo solar eclipse. What ended? What started? What shifted? One thing’s for sure: That solar eclipse wasn’t the end of the world, and this one isn’t either. Your life is about to get bigger, brighter, better—but you may need a dose of courage to get to the next level. Here, how to harness your courage this eclipse season and make the most of the energy from tomorrow’s Aquarius eclipse. Yup, 50. Don’t overthink it. Write it on your phone or on paper. It can be physical attributes, like your smile, but also make sure to focus on the other things you love about yourself. Your tenacity. Your handwriting. Your elephant-like memory. Get it all down on paper. Let’s say you want to ask someone out, but you’ve never done it. Terrifying, right? The fear may be rejection, so it’s key to put yourself in a position where you won’t get rejected. Ask a stranger for the time, or to borrow a pen, or to weigh in on something you’re thinking of buying. The key is to get used to asking. Once you’ve learned the skill, you can ask a person out. But this is bigger than just asking someone out, it’s taking your fear and pulling it apart into tiny, little, NBD chunks. See? Easy. Try this technique with whatever you’re afraid of, minimizing the big thing until it’s a tiny, NBD step. You’ve got this. 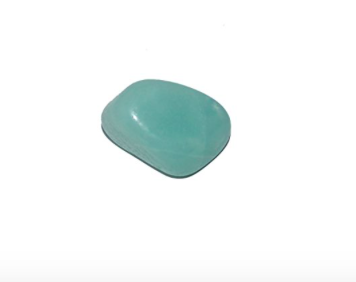 Amazonite can help you tap into your bravery. If you like crystals, consider carrying this one to help you harness all your power. In order to maximize it’s potential, put it in a salt water bath for 24 hours, then hold it, telling yourself: I’m brave, strong, and powerful. Hold it when you need an extra dose of courage. Breathe into the unknown. Breathe into potential. Breathe into love. If you want to do more work, try this eclipse spell to harness love, as well. It can be an intense day. Feel your emotions. Feel your power. Feel your light. And feel the sun, which always gloriously emerges from a shadow to radiantly shine down on all of us.